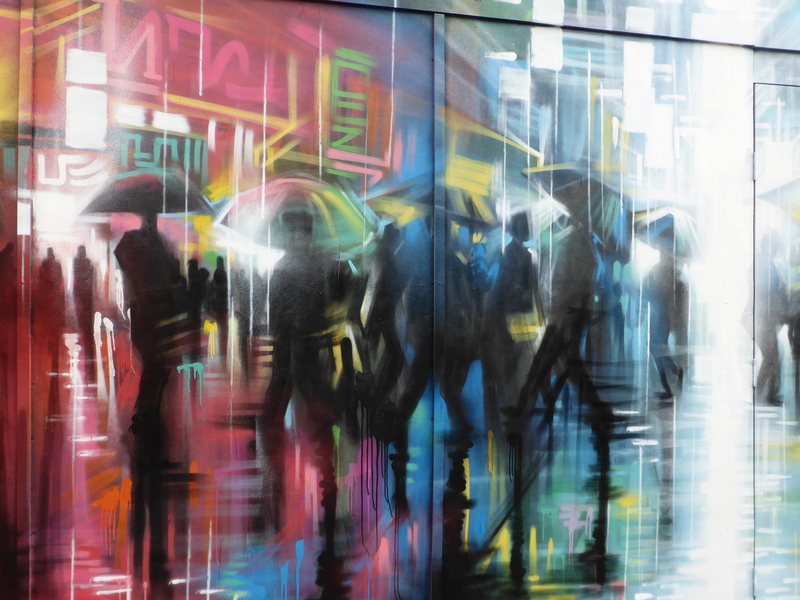 Dan Kitchener returned to Croydon’s Arts Quarter yesterday to add the third installment of his ‘Liquid Lights’ series to the are Unsurprisingly it is once again an incredible work, this time taller than the pieces standing side by side with it on Park Street. 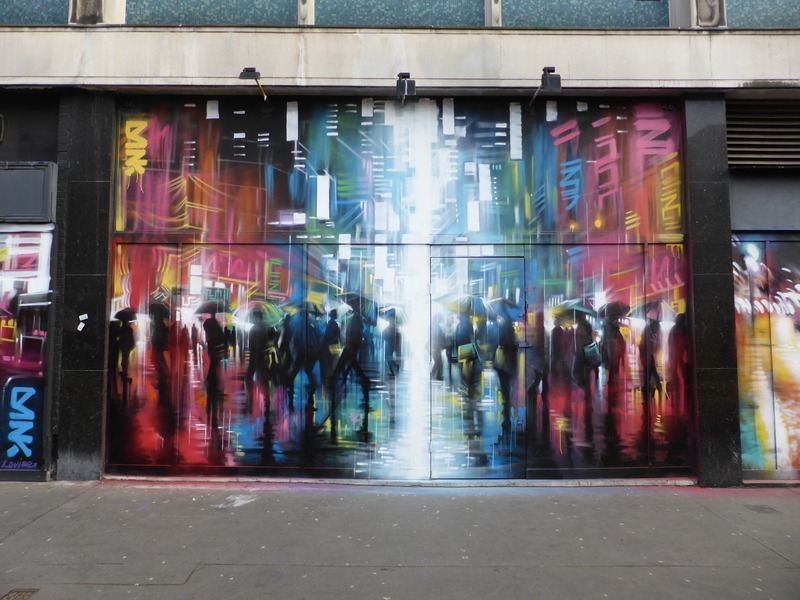 We absolutely love Dank’s work here at London Calling so upon hearing he had added wall number three yesterday, we made a point of swinging by immediately after work today, and we were not to be disappointed, just stunning. This really is a special section of walls in Croydon with three fantastic works by a very talented artist in one seemingly seamless section of spaces, along with the fact that on this stretch of road currently stands works by Fio Silva, Aero, Ink Fetish, Giusi Tomasello, Zina, SkyHigh. 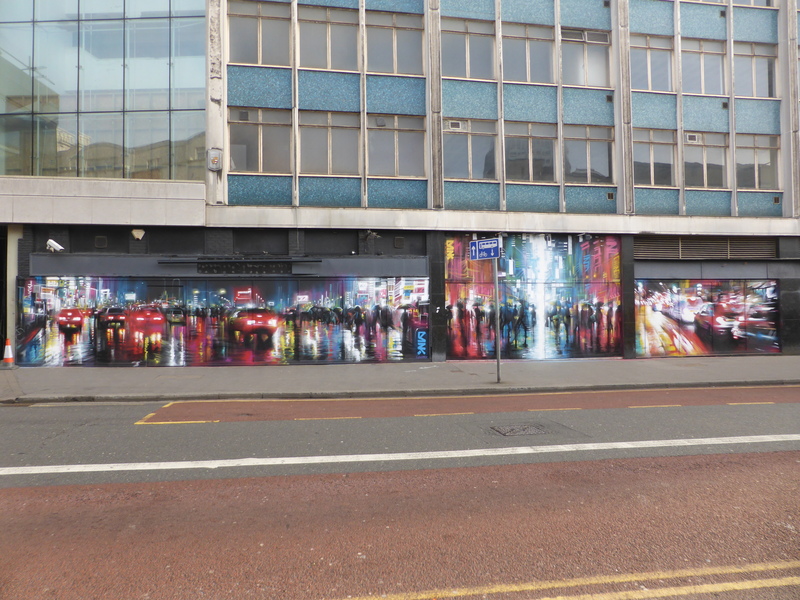 For more information and pictures on the previous two walls created in Croydon by Dan Kitchener you can view them here with the piece on the far right (covered here) and the lengthy piece on the left (covered here). He’s a very talented artist, indeed! These pieces encapsulate the Tokyo atmosphere. Very nice! 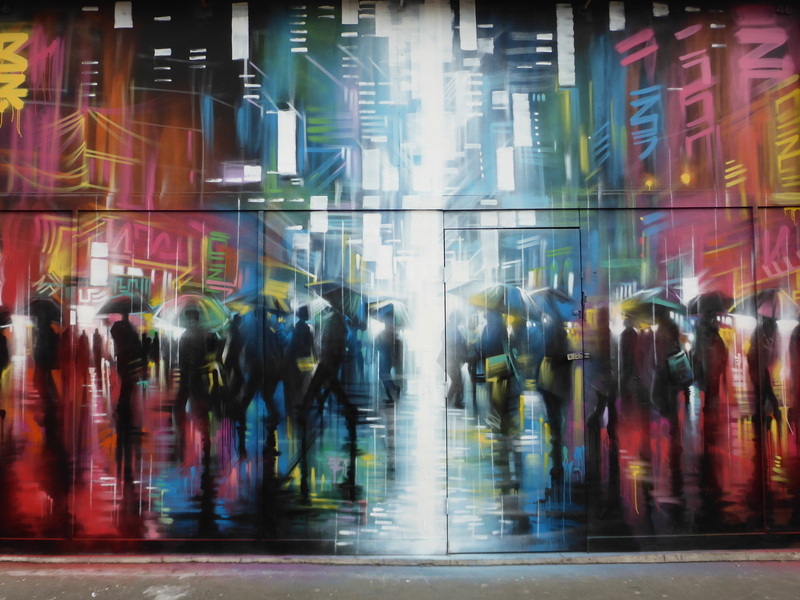 Dan Kitchener has certainly left his mark on Park Street Croydon, just incredible. Am glad you both enjoyed.